In the 21st century many couples are waiting longer to marry while others are entering into a second or later marriage. With the later age of first marriages and the increased numbers of remarriage, there is also an increase in the dollar value of assets couples bring into the marriage. As a result of this change prenuptial agreements are becoming more common as couples strive to protect the personal assets they brought into the marriage while going through the divorce steps. Even in the case of death the surviving spouse wants to protect any assets he or she brought into the marriage from creditors and greedy relatives—especially stepchildren who may believe they have first entitlement to any assets of their deceased parent. However, it is essential for each of the parties to understand what the agreement includes and excludes in terms of marital property and the potential effects on future tax liability for both parties. The most important thing to remember is to avoid making any property transfers before the commencement of the marriage. Even if your prenuptial agreement states you should transfer $200,000 in mutual funds you currently own, conducting the transfer before you actually get married means the transfer is a gift and not marital property and will create a tax liability for your soon to be spouse. Another mistake many people make when preparing pre-nuptial agreements is failing to spell out whether periodic payments are alimony or child support. While alimony is a tax deduction for the person making the payments, it is taxable income for the recipient. On the other end of the spectrum, however, child support is neither taxable income nor a tax deduction. You might say it falls into the category of reimbursement for expenses incurred or simply money distributed to purchase someone specific for another person-in this case the children of a divorcing couple. Another problem that divorcing couples may face is the wording and distribution regarding periodic payments. 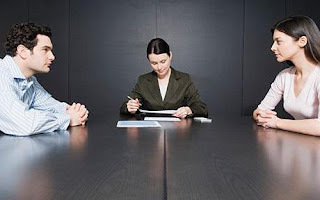 For instance, if your pre-nuptial agreements states in the event of a divorce you will make payments of $500 per month for twenty years to your ex-spouse but the agreement does not clearly identify it as alimony, the government will see it as a divorce settlement of $120,000 and therefore assess taxes to both parties accordingly. Prenuptial agreements can also create some unforeseen tax liability if the assets in the divorce settlement increase substantially in value. While the recipient of the property will benefit tax-wise, the other party will incur substantial tax liability because he or she is holding property that creates a higher tax base upon the dissolution of the marriage. In order to avoid future tax liability, make sure you know the terms of your prenuptial agreement from the start. Your divorce lawyer can help you identify the divorce steps that are necessary at the time of the action in order to ascertain your ex-spouse upholds the terms of the original agreement. By the time you reach the point where you are filing for divorce you should already know how your prenuptial agreement will affect the distribution of your marital property; if you don't, it is too late to change anything at that time. If you and your spouse signed prenuptial agreements before the marriage, there will be some hard and fast rules to be followed in your divorce, and a good lawyer is your best asset at time like this. This prenup agreement is good for further settlement.